A personal injury may happen even when every precaution possible has been taken simply because of somebody else’s mistake or negligence. Every day across the UK people suffer some form of personal injury, whether it’s at home, while walking on the pavement, in the workplace, because of a dog bite or simply while going about their daily activities. If you have sustained personal injury in any accident or incident that was not your fault, you might be entitled to start a claim for compensation for the pain and suffering caused to you. You may also be able to claim for medical expenses for treatment related to the injury as well as loss of income from having to stay off from work because of your injuries. 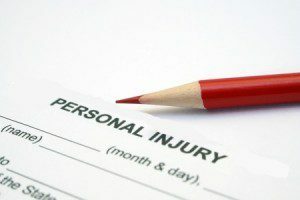 What Kinds Of Personal Injury Can You Claim For? Road accidents – it could be that you were driving or cycling and your vehicle or bicycle was involved in an accident which was not your fault. It also includes injuries sustained if you were a pedestrian, or if you were travelling on public transport. Slip, trips and falls – any personal injury that occurs in an outdoor public place such as a pavement or a park or an indoor public place such as a shopping mall or a restaurant comes under this category. Accidents at work – these include accidents such as slips, trips and falls as well as work-related conditions such as industrial deafness from working with loud equipment without proper protection, repetitive strain injury from working continuously on any one type of equipment or loss of limb from working with faulty equipment. Industrial diseases – these include diseases such as asbestosis and mesothelioma, which result from inhaling asbestos fibres. Claiming for personal injury for industrial diseases is not limited only to those working within the industry. You can also claim if you lived in the vicinity of a factory that worked with asbestos. Medical negligence –misdiagnosis, delayed diagnosis, wrongful treatment, an error during surgery and dental negligence, all come under medical negligence. Other examples of personal injuries you can claim for include food poisoning from a restaurant, an injury suffered in a hotel while on vacation, psychological illness caused by stress at work or whiplash resulting from a road traffic accident. If you are injured in any one of the accidents mentioned above, you should be able to begin a claim for injury compensation. If your injury is not among those listed above or you are not certain as to whether you are entitled to claim compensation for your injuries, you may still be able to claim. It is a good idea to speak to a personal injury solicitor before giving up. Most personal injury solicitors will give you a free, no-obligation, first consultation so you need not worry about being charged for their initial advice. When somebody’s been involved in some form of accident, many people just want to put the whole thing behind them. The thought of filing a personal injury case can be unnerving as it could mean having to relive the trauma several times over, while relating the details to their solicitor and potentially again in the courtroom. This only adds to what can already be a stressful situation besides taking up more time. Having to take time off from work could mean further loss of income. What if after all that, you lose the case and are not awarded any compensation? However difficult it may be, it is always advisable to file a personal injury claim for compensation. Any type of personal injury can put a strain on your physical and mental health as well as your finances. You would have had to pay for medication and treatment for your injuries. Depending on your injuries, you may require long-term treatment, which could turn out to be hugely expensive, both in terms of time as well as money. You may have also needed to take time off work, which would mean loss of income as well as loss of other job-related perks such as a bonus or promotion. Filing a claim is the first step towards getting the recompense you deserve. The money could help restore your financial position to what it was before the accident. Also, it allows you to take time to heal from the physical and psychological trauma without having to worry about finances. By suing a negligent party you are also doing your part to prevent the same accident and injury happening to anyone else. For example, filing a claim for a personal injury resulting from faulty equipment may highlight unsafe practices at work so other employees may not suffer the same injuries in future. There is nothing to stop you filing a personal injury claim by yourself. However, before you do so, you must understand what is involved. Without proper knowledge of the law and legal proceedings, there is a higher chance that you may make a mistake that could cost you the case. That is not a risk that is worth taking. Hiring a personal injury solicitor can give you a huge advantage when you are claiming compensation. Most solicitors will agree to represent you on a No Win No Fee basis, which means you get the benefit of their experience and expertise without having to pay any upfront fees. You only pay if you win the settlement. Usually, the amount you have to pay will be a set percentage of the total compensation that you receive. This way you are never out of pocket at any stage. When you hire a solicitor , they will explore all aspects of the case so that they can put together a strong case asking for the highest amount that you are entitled to. They will take into account all factors when calculating the compensation, from pain and suffering caused by the injuries to present and projected expenses for medicines and medical treatment as well as present and future loss of earnings. If your injuries require you to get full-time care or do certain modifications in your home or vehicle, these costs are factored in too. The statute of limitations for filing personal injury claims is 3 years. This means you must file the case in court within 3 years from the time of the accident. If you do not file within this time, you forfeit your right to compensation. It may seem like 3 years is enough time to put together all the documents and file a case. However, as many others have found out too late, it is just not enough time, especially when you also have to also deal with the ongoing medical treatments as well as your personal and professional commitments. A solicitor on the other hand will be committed to your case and will work quickly and efficiently to ensure that your case is filed well within the time limit. In most cases, there is a lot of confusion after a personal injury. This can make it difficult for you to put together the evidence that could help you file a strong case. Being aware of what you should and should not do immediately after an accident can help you stay more focused at that time. The first thing you should do immediately after an accident is check your injuries and try and determine how badly hurt you are. If you are severely injured and cannot move, you have no other choice but to wait for the ambulance. If you can move, it is best to move to a safer area and assess your injuries. If there are any witnesses to the accident, get their contact details so that they can testify on your behalf as to whose fault the accident was. Get photographs of your injuries, the scene of the accident, your damaged vehicle if any and the immediate cause of the accident. Get your injuries treated at the nearest medical facility. Report the accident and your personal injuries at the nearest police station and keep a record of the report. Get in touch with a solicitor and get professional advice as to the best way to proceed with filing your compensation claim. Never agree to any personal injury settlement that the defendant’s insurance company offers you without first consulting a solicitor . Most insurance companies rush in to offer compensation after any type of accident. It may seem like a fair and easy deal at first and you may be tempted to take it. The fact is insurance companies will rarely ever voluntarily pay you the entire amount that is due to you. You can be sure that the sum does not come anywhere close to what you are owed. Besides, you will have to sign an agreement waiving off your rights to claim any more compensation so you may not be able to claim for future injuries that may be related to the personal injury you have suffered.